In a most delicious twist of serendipitous weather, we are producing here in California what I’m calling “adult” wines. 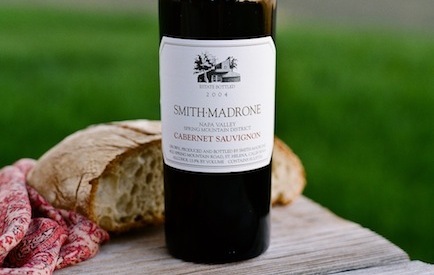 That is, because of a confluence of maturation in the marketplace and three consecutive cool growing seasons—2009, 2010, and 2011—we’re seeing wines that are more balanced, more elegant, and wines that have—I dare say it—less alcohol. There, I said it. I used the “A” word; the word that I and many of my wine writer colleagues—long-in-the-tooth all—have been railing about lo these many years. We’ve used the A word so much that the very idea of using “alcohol” in the same sentence with “wine” has torn a new gender gap between mostly geezer, traditional wine writers and those on the blogosphere. It’s caused a schism so deep and so talked and written about that “The Great Alcohol Divide” kerffule-thingy has degenerated into such ad nauseam that one doesn’t even have to shove a finger down one’s throat to cause it. 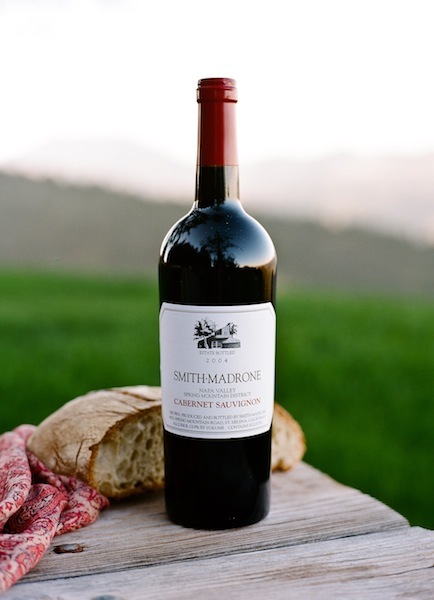 If the cool weather in California continues (one can only hope), perhaps the idea of balanced wine will catch on. What I mean by “balanced” wine is one that has the troika of key elements in place—fruit, alcohol, and acids. When temperatures throughout much of a California growing season spike into the hi-90s and low-100s as it usually does, sugars elevate and therefore manifest in higher alcohol levels. Conversely, in a cool growing season, the sugars are at lower levels, resulting in lower alcohol percentages. Additionally, in a cooler vintage, the fruit is not overly ripe but enough so to become sweet without leaving cloying residual sugars on the palate, which tends to overwhelm most foods. The third element—acidity—serves as a palate cleanser, clearing the palate of fats and getting your mouth ready for the next sip and the next bite. Allow me to explain my bias: I grew up in Brooklyn with a beautiful Jewish aunt (she looked like Ava Gardner. Google her (Ava, not my aunt. )), who married a Sicilian man, and whose mom and sister taught her to become a great Italian cook. There was always wine and espresso on the table; and so I just knew there were greater and bigger things out there to discover beyond Bensonhurst’s insular borders. Italian wine and Aunt Esther’s marinara sauce became my first perfect marriage. 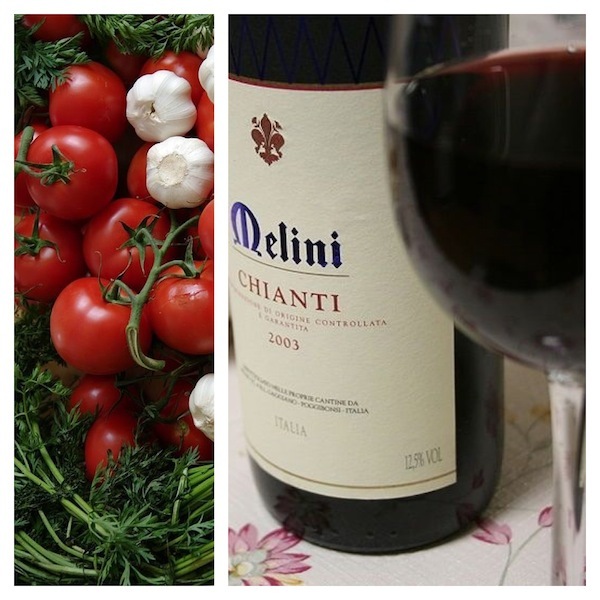 The reds, mostly from Chianti in those days, were pure Sangiovese—not larded with Cabernet Sauvignon as they are now (super-Tuscans my kester), which so strips those otherwise idiosyncratic wines of their place in the world—were full of minerality and earthiness that stood up to the spices of my aunt’s sauce. Food and wine. Wine and food. This coupling became my raison d’être; one of these elements did not go without the other. Food with no wine is akin to baseball without the ball. Wine with no food for me, is merely standing around, glass in hand, making small talk. But for a whole other generation—a demographic I must say I’m happy, has taken to wine much more naturally than my own—albeit for different reasons—standing around sipping wine is merely standing around sipping a beverage that’s predominated by alcohol. This last point speaks directly to the great American ability and proclivity to market products. I remember about 15 years ago, the wine industry was beside itself trying to figure out how not to lose a whole generation, who showed then, no visible interest in wine. But as Gen-Xers and Millenials began experimenting with wine, the industry surmised that it was those high in alcohol and with sweet fruit that were desirous. And so, big, blowsy wines became the norm. Getting a buzz from wine is no different, as getting shikker from say, vodka or bourbon. But to me, treating wine like it’s another vehicle for getting schnokered is blasphemous. Wine for me, though I possess a heathen’s mentality is, sacred. I regard that reverential coupling (some would call it pious) of wine and food as a path to great joy. As when a fruity and mineral-driven Italian Grillo enters my mouth after taking a forkful of grilled smoked trout, as I sit in a piazzetta with my significant other on the Amalfi Coast. Everything’s in harmony. The wine grows brighter as it mingles with the salty fish, and in turn renders the morsels of flesh, sweeter. The pigeons coo in the trickling fountain and the bright afternoon sun sparkles off the Gulf of Salerno. My SO takes my hand across the table. Stony Hill produces consistently balanced Chardonnay and Riesling. Forgive me dear reader for my attempt at treacle-y prose, but romance—whether from another human, a quiet little Italian piazza, or from gorgeous wine and food—is the rarified stuff of being alive. And I’m sorry if I may have lost you already, but a big, overwrought, over oaked, high-octane wine, to me, is akin to an Americanized bagel that has the texture of a down pillow and is the size of a Frisbee, or a commoditized croissant that more resembles a boomerang. But what the hell do I know when sales figures of these outsized wines belie my prejudiced theorem? They, as well as probably a majority of you out there, couldn’t give a fig if the wines you like are big, sweet, and high in punch-power. The more of the aforementioned, the better. But I say, those wines completely overwhelm most any food you’re having with it (although in many cases, probably no food is involved at all). There was once a menu in a restaurant on San Francisco’s waterfront that listed—from highest-to-lowest—the alcohol percentages of their wines. I queried the owner as to which wines sold the best, though I knew that to me was but a rhetorical question. Pier 23 restaurant is still there, and thriving as it sits serendipitously between the still-being-built new ferry terminal and the to-be-completed Exploritorium. And after they gussied up the menu, bringing in the outstanding consulting chef Joey Altman, the wine list too has been elevated, sans alcohol percentages. Bob Mondavi might be rolling over in his grave—on two levels. Mondavi was perhaps the only transcendent wine figure in that his name had reached critical mass in America and even the world. To this day, nearly five years after his death, no one in the world has emerged as wine’s spokesperson or ambassador. He would be spinning in his grave with joy that at last, America has become a wine culture. And that’s a good thing. But he’s reeling I’m sure, from the notion that many people he may have inspired by his credo of moderation, are using or more aptly, abusing wine, just so they can get a good buzz on. In the end, one can’t blame the Californians for producing wines with high alcohol and ripe fruit levels. After all, it’s inherent in California’s climate, which enables grapes to grow well in the first place. But it’s when temperatures are unusually high that those percentages—to my mind—are out of whack. But if you want to experience wines that almost every year consistently hit what I think of as the sweet-spot (pun intended), seek the balanced Chardonnays and Rieslings from longtime Napa Valley producer Stony Hill atop Spring Mountain. 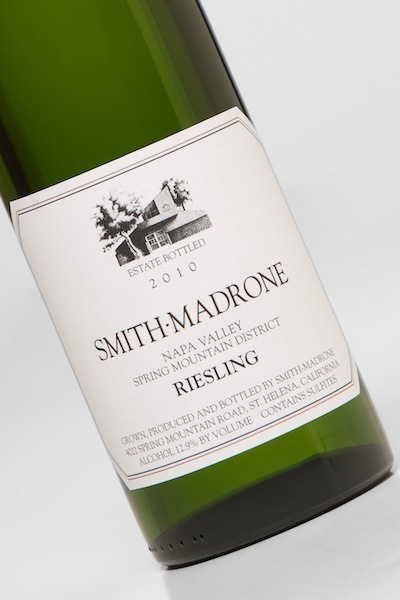 Its neighbor, Smith-Madrone also makes one of the best Cali Rieslings, as well as harmonious Cabernet Sauvignons. 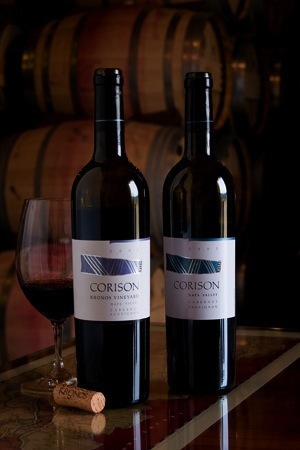 At the higher end, just once you’ve got to give Cathy Corison’s Napa Valley-floor Cabs a try for their exquisite elegance. And on the opposite end of the spectrum savor Randy Dunn’s Howell Mountain Cabernets. You will be blown away by his obsessive adherence to keeping the alc-levels down; but you’ve got to hold onto them for a long time to allow the teeth-rattling tannins to calm down. But Dunn’s wines are wines for enjoying when you get to be my age, when they’ve mellowed with time. Old wines, like old folks, have their place, too. [author] [author_image timthumb=’on’]http://palatepress.com/wp-content/uploads/2012/09/Goldfarb-new.jpeg[/author_image] [author_info]Alan Goldfarb has been writing about wine for more than 20 years. He was the wine editor at the St. Helena Star in the heart of the Napa Valley where it is said, that assignment must be akin to covering Catholicism at the Vatican. His work has also appeared in the San Francisco Examiner, the San Jose Mercury News, Wine Enthusiast, American Airlines’ American Way, and the Underground Wine Journal among many others. He was senior editorof AppellationAmerica.com and is the contributor of the chapter, “Chewing on Chile,” in the Travelers’ Tales book, Adventures in Wine. He also wrote the biography of wine artist Thomas Arvid in his 2004 published book, Arvid: Redefining the Modern Still Life. YES! At the wine shop, only too often would i be asked, ” which of these……(you fill in the blanks) has the most alcohol?” At first I would imagine that this was the one to be avoided, but no quite the opposite….”give me the one i can catch the best buzz off!” Yikes, weird request when comparing delicate demoiselles like Moscato d’Asti. But they would yes they would. Alan, thank you for so eloquently challenging my love of “big, juicy, sweet wine caprice” (sounds fabulous merely to write these words!). I’ll try to be open to a conversion experience but in the meantime will enjoy the journey of exploration with you and Alice along the way! You hit the nail on the head, Alan. If there’s a good thing to come out of climate change then its California wines with lower alcohol and friendly to food. Thanks for your engaging prose. Alan, you are a mensch of a fun writer. How do you really feel about high alcohol wines? The European producers have innately adhered to low alcohol and food engaging wines forever (is that an overstatement?). It’s high time (no pun) U.S. producers got on board. Here in Willamette Valley our weather helps adherence to low alcohol. We are products of our environment after all. Drink Oregon Pinot Noir! While I appreciate Mr. Goldfarb’s excellent writing, full of luscious and romantic descriptions, I completely disagree with his premise. I am a card carrying senior citizen and I love the California reds that he denigrates as over oaked. Moreover, despite being, what Mr. Goldfarb would call “politically incorrect,” I often drink wine without food. Wine, like food, is a question of taste. I don’t like goat cheese-but I don’t feel the need to belittle those who love to eat it. In the same way, I do not understand why Mr. Goldfarb insists that his tastes are “adult” and mine are somehow undeveloped and/or immature. It would be a very boring, colorless and overcrowded world if we all liked the same thing. As my dad used to say, “that’s what makes horse racing.” Come on Mr. Goldfarb, lighten up, and, by the way, don’t be so insulting to those of us whose tastes differ from your own. Many wines today, let’s not forget, are manipulated and juiced. Kind of like many of the horses in those races to which you refer. Otherwise, I’m glad at least, you liked my writing and romantic allusions.